but i wanted a clever title, ok? the first of the new roommates arrived last Saturday! ...just so we could call him Nappy for short. he's pretty happy. he lives by Jesus. (no really....his casa is next to a statue of Jesus. oh, we got a hanging plant too. and a lecture from the plant man, keith. and we chatted politics and economics....or boys, maybe. hahaha YES! it's official. 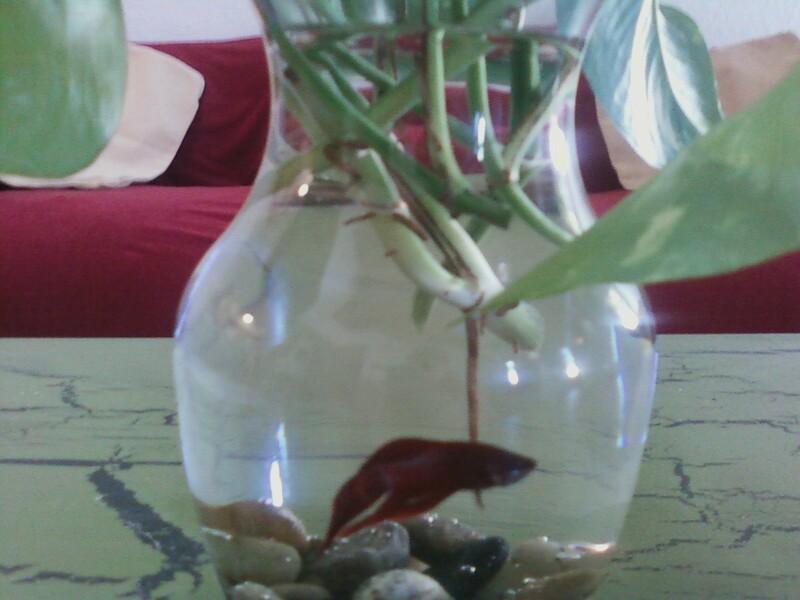 our newest roomie wasn't official until you blogged about him :) WELCOME NAPPY C! OMBiebs! I can't believe that you let a SEA CREATURE INTO YOUR HOUSEHOLD BY CHOICE!!!!! What a travashamockery.....the girls in my old apartment decided one day to bring home a fish and I totes flipped out. For a couple weeks (or maybe seven) I would mutter death threats upon entering the same room as it. Then I came to terms with the issue and named him Norbert. Norbsie for short.